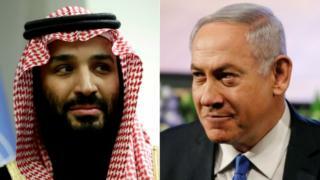 Whatever may be happening behind the scenes, a complex system of public signalling is under way between Saudi Arabia and Israel. And Saudi Crown Prince Mohammed bin Salman's recent comments to US magazine The Atlantic should be seen very much in this light. 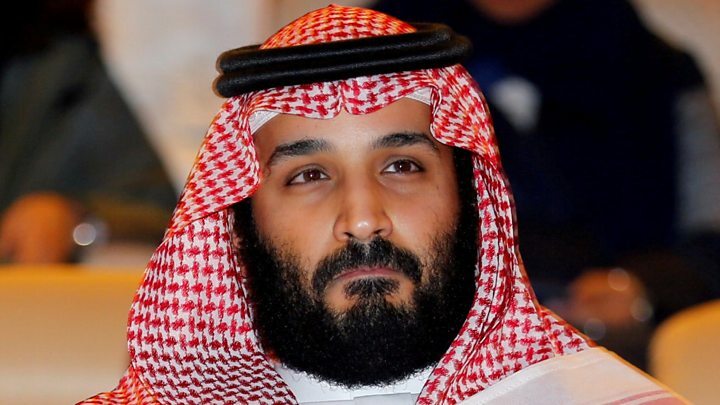 Asked if he believes that the Jewish people have a right to a nation-state in at least part of their ancestral homeland, the crown prince - in effect the day-to-day ruler of Saudi Arabia - said: "I believe that each people, anywhere, has a right to live in their peaceful nation. I believe the Palestinians and the Israelis have the right to have their own land. "But," he went on, "we have to have a peace agreement to assure the stability for everyone and to have normal relations." This kind of public recognition of Israel's right to exist in an area associated with ancient Jewish history is rare from a senior Arab leader. It is, of course, not unprecedented. Egypt and Jordan already have a kind of peace with Israel. And many might argue that the Saudi-sponsored Arab Peace Initiative - a regional peace plan which dates back some 16 years - really marked a turning point in the Saudi outlook. It offered a full peace to Israel providing a variety of issues were resolved: return to pre-1967 ceasefire lines; a just resolution of the refugee problem; and a Palestinian capital in east Jerusalem. Who is Saudi crown prince? Indeed, the Arab Peace Initiative has been dusted off and discussed at various intervals over the past decade and a half, since it probably marks the only basis for a lasting agreement that might be acceptable to the region as a whole. Saudi Crown Prince Mohammed made no explicit reference to the recent violence in Gaza (maybe the interview was conducted earlier). It was left to his father, King Salman - in a telephone call with US President Donald Trump - to reaffirm Saudi Arabia's "steadfast position towards the Palestinian issue and the legitimate rights of the Palestinian people to an independent state with Jerusalem as its capital". This, of course, does not necessarily discount or disavow the crown prince's comments in his interview. And it is the prince who is driving the process of wholesale reform in his country. Where does this leave Israel-Saudi relations? Context, as ever, is crucial. The warming has been under way for some time. Both countries were alarmed at what their governments saw as the Obama administration's weakness in the region in the face of a rising Iran. Both opposed the Iran nuclear agreement - the Joint Comprehensive Plan of Action (JCPOA). And both want to see much tougher action taken against Tehran's spreading influence, not least in Syria. Israel in particular has not missed any opportunity to brief, nudge and hint at the growing depth of its dialogue with Riyadh. Saudi Arabia has been much more reticent. But Prince Salman's comments together with a recent decision to allow Air India flights to and from Tel Aviv to transit Saudi air-space are tangible signs of a shift in Saudi Arabia too. So far, so good. But is this any more than just a case of "my enemy's enemy is my friend". How deep do Israel-Saudi ties really go? And what do they portend for the future? The answer may lie in the broader context of the crown prince's grand scheme. He wants to bring about dramatic change in Saudi Arabia. But if you read the Atlantic interview, to say he is a man with a vision is almost an understatement. His ambitions are huge. Many would criticise how he is going about things - the prosecution of the war in Yemen, for example. But ultimately to achieve his ambitions he needs to exist in a region at peace. Old rivalries need to be resolved. And none more so than the Israel-Palestinian dispute, which appears as hopeless as ever. So yes, the far-from-transparent Saudi-Israel relationship may be about more than just ganging up against Tehran or trying to influence the mercurial Trump administration in Washington. But if it is to realise any larger goals, much will depend upon how Crown Prince Mohammed's reform project fares. Will he succeed in his own country, let alone in a projection of diplomatic influence in the wider region? And then, of course, there is Israel. Can its distracted prime minister rise to the diplomatic opportunity? Will he actually survive in office at all? As so often in the Middle East, so many factors have to be in alignment to make real progress towards a comprehensive peace. The cynic's view would be don't hold your breath. Can Saudi Arabia's bold reforms cure growing financial woes?